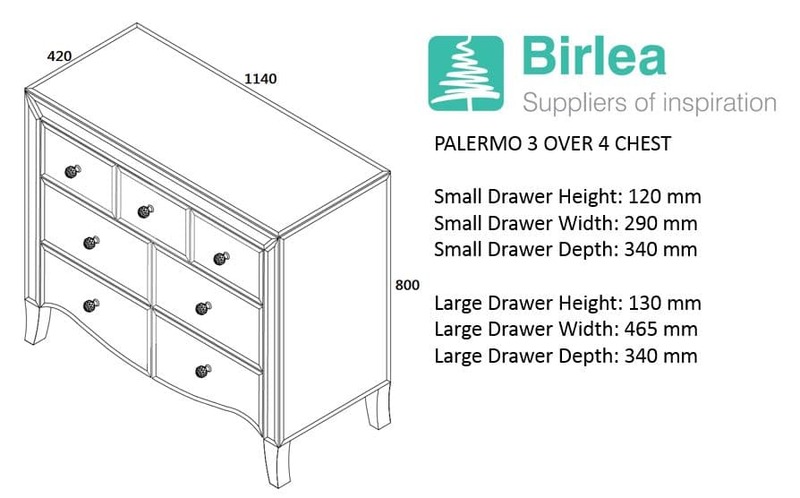 Bring a touch of glamour to any home with the Palermo range from Birlea. 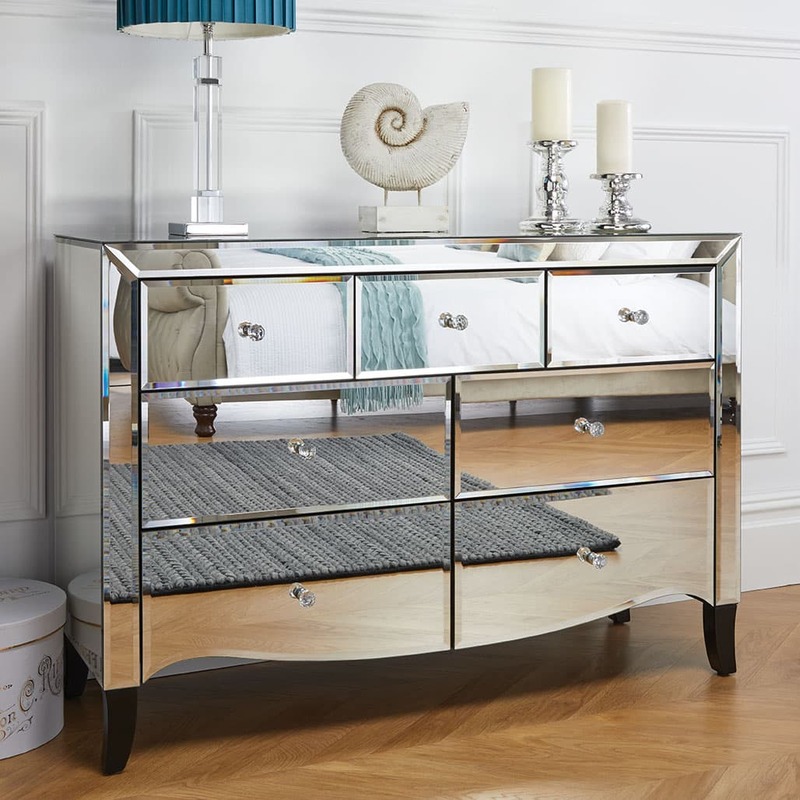 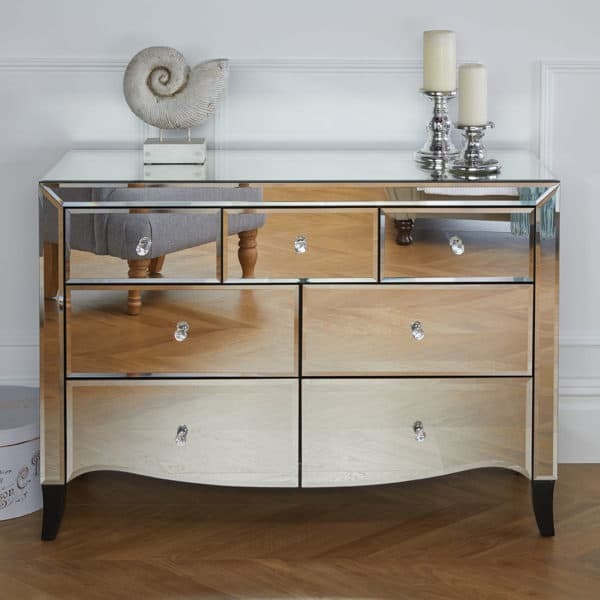 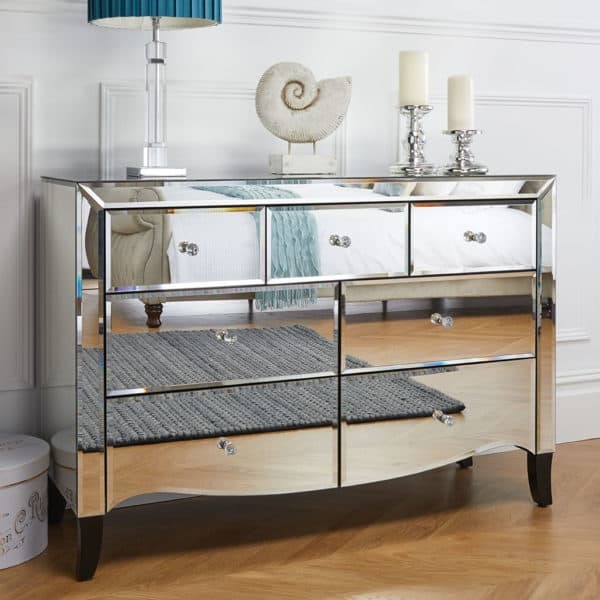 This classically designed 3 Over 4 Chest is constructed from a MDF frame and features a mirrored finish with bevelled edges and elegant mock crystal handles. See more from the Palermo collection.